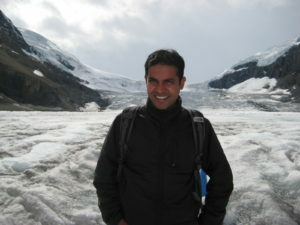 Naveen Puttaswamy is currently an Assistant Professor with the Department of Environmental Health Engineering, Sri Ramachandra University (EHE-SRU), Chennai, India. He received his PhD in Environmental Toxicology from the University of Saskatchewan, Canada. Subsequently, he was awarded a NSERC fellowship to work at the NRCan, Ottawa. He is currently involved in a population based research that aims to assess the epidemiology of adverse pregnancy due to air pollution. His primary research interests are in the area of toxicological research techniques in relation to pollution exposures and health effects in developing country settings, with a special focus on biomarkers of exposure and early biological effect. The GHES fellowship contributed to Dr. Puttaswamy's promotion from Research Assistant to Associate Professor. This fellowship was jointly mentored by Prof. Kalpana Balakrishnan (EHE-SRU, India) and Prof. Kirk R. Smith (UC Berkeley). His research project was aimed at developing models to inform health risk assessment methods for polycyclic aromatic hydrocarbon (PAH) exposures in pregnant women. Naveen used a combination of in vitro, in silico (e.g. PBPK models) and urinary metabolite measurements to develop and validate these models for air pollution exposures related to household solid cook fuel use. His research adds to the growing pool of studies concerned with biomarker and toxico-kinetic methods in this setting where limited such information is currently available.